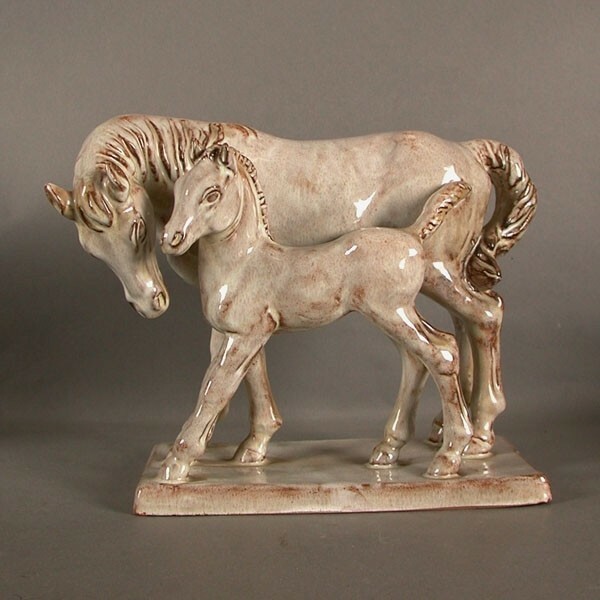 Art Deco ceramic figure group. France 1930. Artist: The figure is signed on the lower right edge. Art Nouveau. 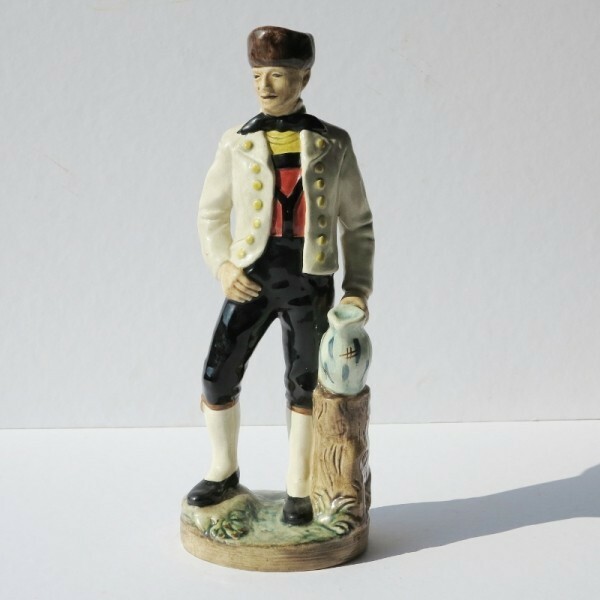 Porcelain figurine. The Cavalier. 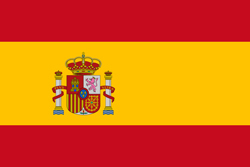 1900 - 1920. 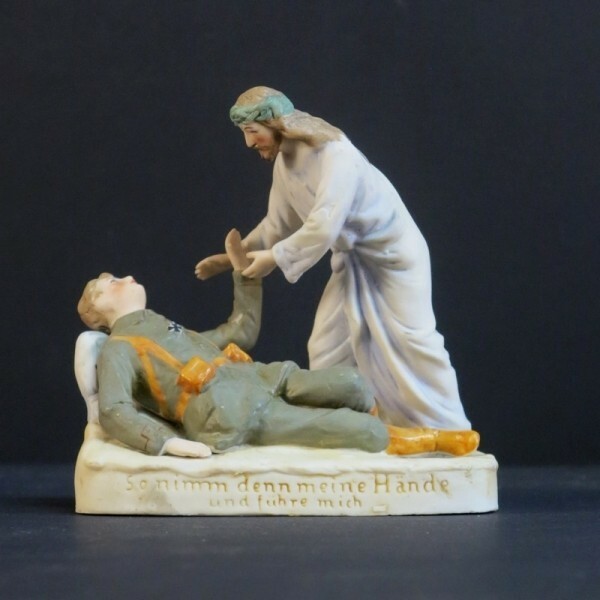 Mass: 9 x 5 cm. Art Nouveau. Pottery basket with handle. 1900 - 1920. 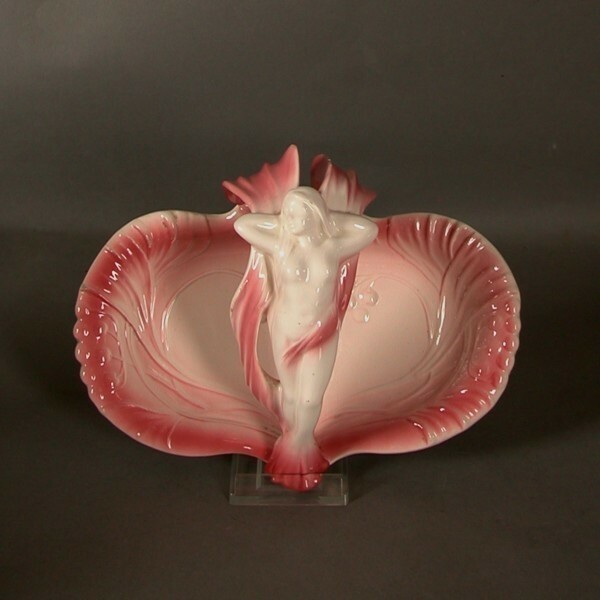 Ceramic pottery basket with the handle in the kind of a mermaid. 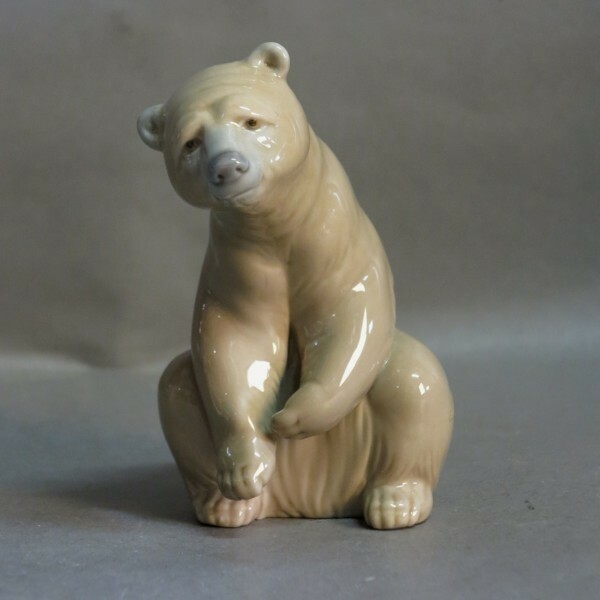 Bear seated. 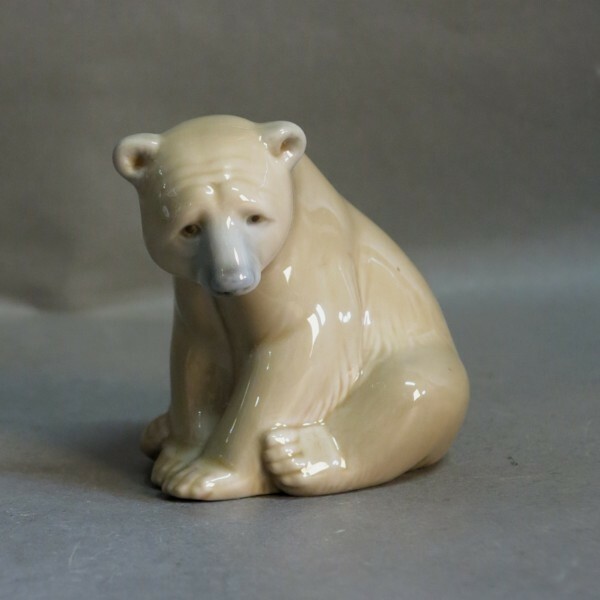 Lladro porcelain figure. Spain 1972. Measure : 21 x 14 cm. Measure : 12 x 12 x 6 cm. 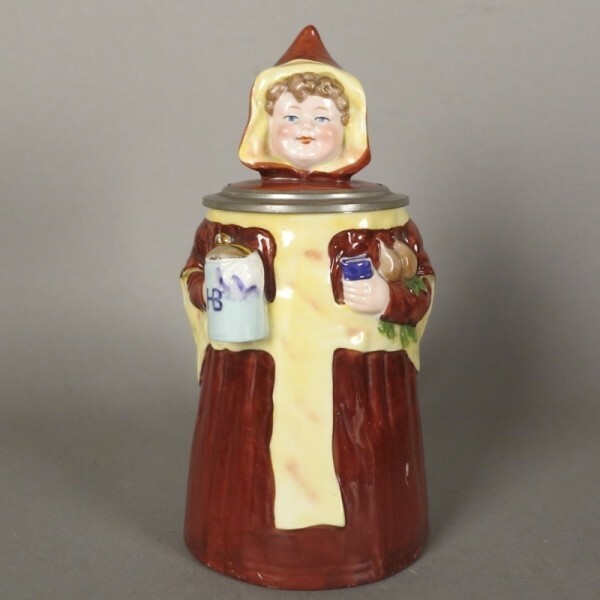 Ceramic figure at Cortendorf style. Germany 1950 - 1955. 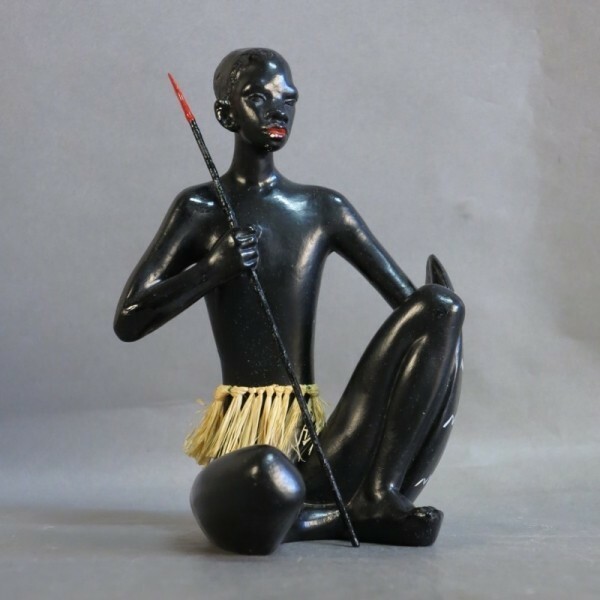 Ceramic figure group. 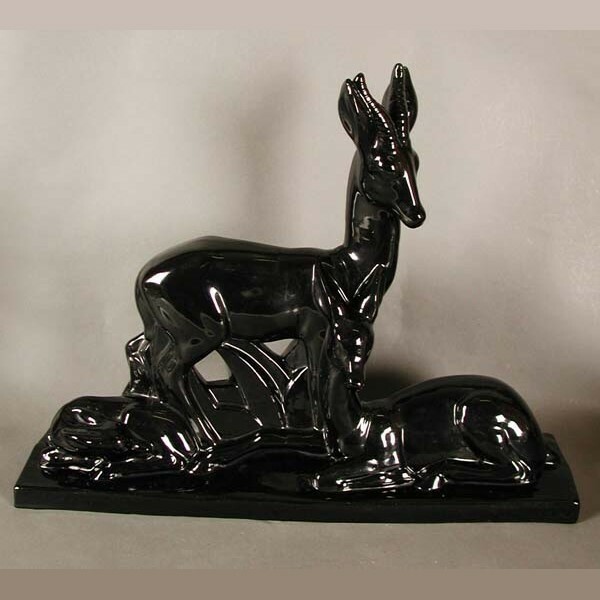 Rudolf Rempel 1930 - 1935. Measure : 22 x 30 x 13 cm. 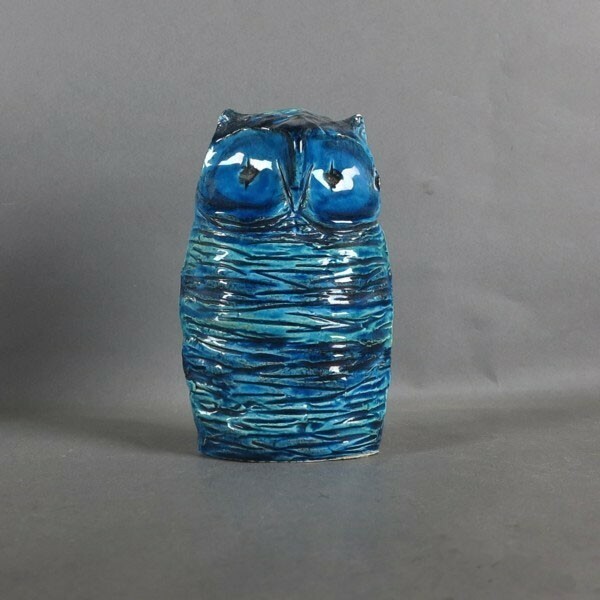 Ceramic owl. Rimini Blu. Aldo Londi. Bitossi. Italy. 1950 - 1955. Mass: 15 x 9 cm. 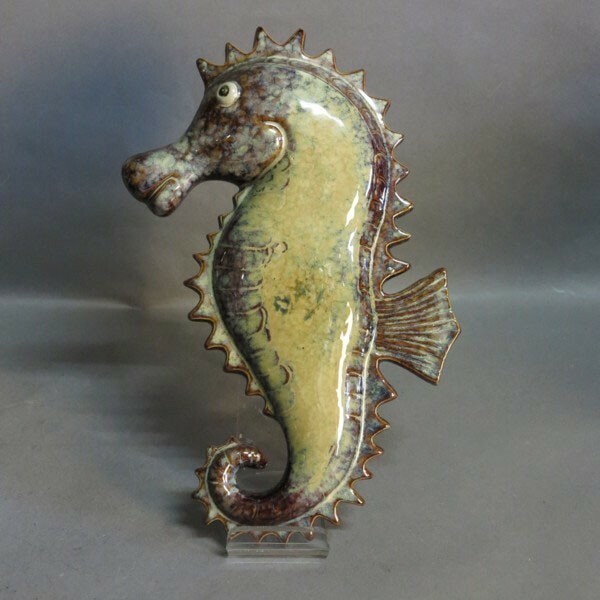 Ceramic sea horse wall decoration. 1950 - 1955.